Definition of Lewy Body Dementia – What is LBD? Why is the Disease Called Lewy Body Dementia? What Distinguishes Lewy Body Dementia from Alzheimer’s? Is There a Cure for Lewy Body Dementia? 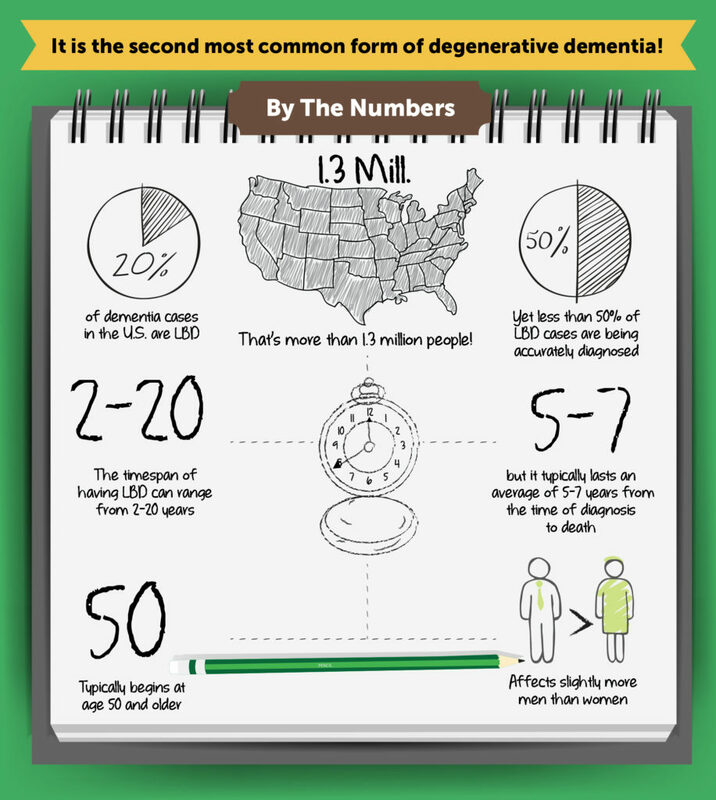 Lewy Body Dementia (LBD) is one of the most common forms of dementia after Alzheimer’s disease. LBD is associated with the development of abnormal clumps of proteins in the cortex of the brain. Unlike Alzheimer’s, LBD symptoms at the early stage are less associated with changes in cognitive function and more related to sleep disorders, constipation, or fainting issues. 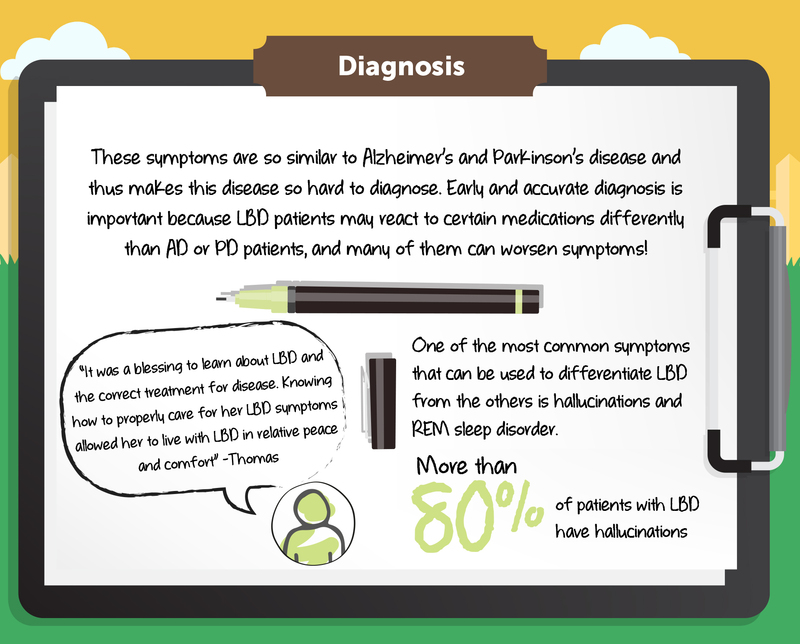 LBD can occur in combination with Parkinson’s disease or even Alzheimer’s disease. As LBD progresses, LBD will show many of the same problems as Alzheimer’s, including memory loss. Although there is no cure for LBD, there are medications that can help manage some of the symptoms, such as benzodiazepines. Although Lewy Body Dementia (LBD) occurs far more commonly than people think, it is not for many people as familiar to people as Alzheimer’s Disease, Parkinson’s, or even vascular dementia. The disease was in the national spotlight briefly after it was revealed that comedian Robin Williams suffered from LBD before his death. Sometimes referred to as Dementia with Lewy bodies (DLB), there are several reasons for the relative obscurity of LBD. Diagnosing LBD can be a challenging process. There can be lots of variability in how the disease presents in the beginning, which can make it look like Alzheimer’s disease, Parkinson’s disease or a psychiatric disorder. There are typically 3 different presentations. Some people start out with memory or cognitive dysfunctions that resemble Alzheimer’s disease, but over time, experience more distinct symptoms. 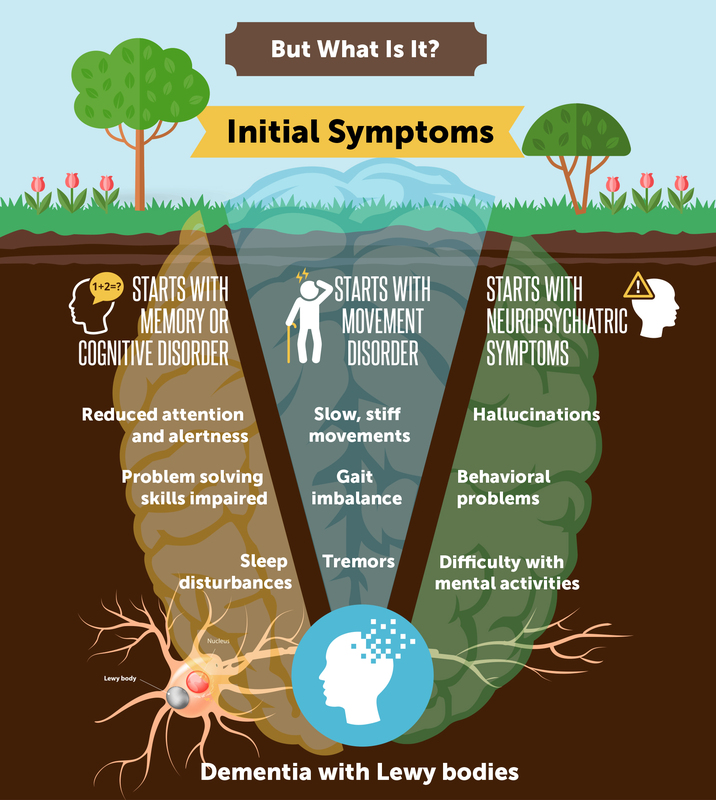 Others first experience movement difficulties, often leading to a Parkinson’s diagnosis, but later develop dementia symptoms and other features of LBD. It is more rare, but some others may also experience neuropsychiatric symptoms first (e,g. hallucinations, behavioral problems, difficulty with complex mental activities). 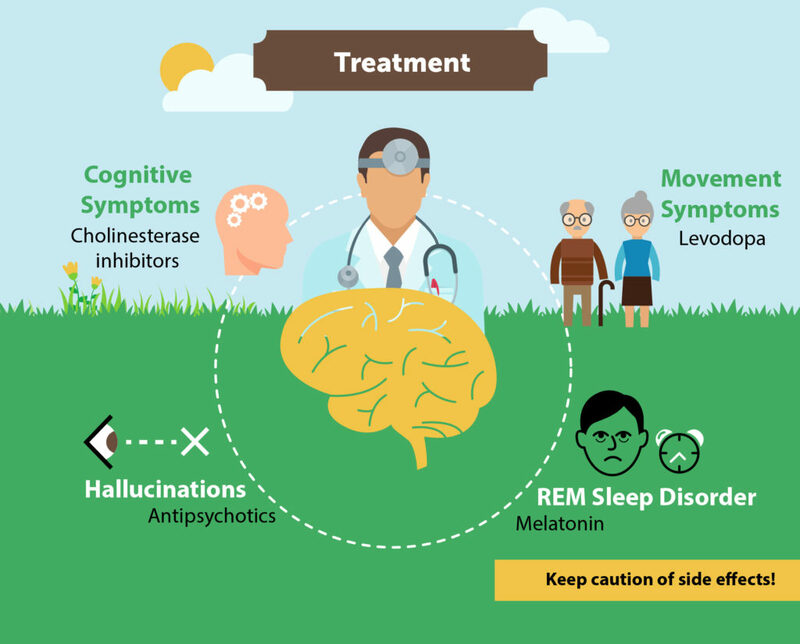 Despite differences in how the disease presents initially, individuals with LBD will gradually experience similar problems with cognition, sleep, movement, and behavior. LBD is a spectrum disorder. This means that it can occur alone, but more often, it occurs in combination with Parkinson’s Disease to create “Parkinson’s Disease with Lewy Bodies”, or it can co-exist with Alzheimer’s disease creating something called “Mixed Dementia”. Like most other types of dementia, Lewy Bodies is a progressive and neurodegenerative disease, meaning that it gets incrementally worse with time. According to the Lewy Body Dementia Association (LBDA), the disease accounts for up to 20 percent of dementia cases in the U.S. Up to 1.3 million cases of LBD have been diagnosed in the U.S. alone, with only 30-50 percent of LBD cases being accurately diagnosed, even in dementia centers. In the early 1900s, Friederich H. Lewy, a German scientist who was researching Parkinson’s disease, discovered abnormal protein deposits that disrupt the brain’s normal functioning. These abnormal protein deposits eventually became known as Lewy bodies, though the name wasn’t accepted until after Lewy’s death. While abnormal clumps of proteins in the brain are thought to be the cause –or at least a significant symptom– of several types of dementia, the type of protein involved in LBD is different, as is the part of the brain that is first affected. When these clumps, or Lewy bodies, develop in the brain cells, LBD develops. There are times when abnormal brain changes occur in different parts of the brain simultaneously, which can cause LBD as well as Alzheimer’s or vascular dementia. As previously noted, a combination of different types of dementia is generally referred to as Mixed Dementia. In the earliest stages of Alzheimer’s, memory loss is usually the dominant symptom, while in LBD memory might be well-functioning. Attention and alertness, however, may be impaired in LBD, making the symptoms easy to confuse with memory problems. Also, the diseases are characterized by excess buildup of different proteins in the brain. In both cases, these brain proteins are misfolded and cause clumps. In Alzheimer’s, these clumps are called plaques and tangles, caused by tau and amyloid proteins. LBD features the presence of Lewy Bodies, which are misfolded alpha-synuclein proteins. While someone in the advanced stages of Alzheimer’s may experience hallucinations, visual hallucinations are more common in LBD and can arise early in the disorder. Sleep Behavior Disorder is also often a problem with LBD, but is not characteristic of Alzheimer’s disease. Sleep Behavior Disorder can cause individuals to physically act out dreams, which can be frightening and/or dangerous. There is risk of injuring themselves or their bed partners, and this behavior may begin years, or even decades, before LBD symptoms appear. People who are familiar with Parkinson’s disease will often see someone with LBD and assume that he or she has Parkinson’s. This is because of various neurological symptoms that can be similar, mostly involving body movement and coordination issues. Both diseases can also include stiffness of the body and muscle rigidity, extremely slow movements that include a “frozen” stance, tremors, stooped posture, blank facial expressions, a shuffling gait, swallowing problems, and a weak voice. However, LBD is different from Parkinson’s, and one way to differentiate the diseases is by the earliest symptoms. Individuals with LBD are more likely to show typical dementia symptoms first, whereas those with Parkinson’s are much more likely to experience difficulties with movement and motor abilities first. People with LBD will likely have fluctuating cognition. They may also have visual hallucinations, even hallucinations involving smell, taste, sound and touch. They may become unresponsive, at times developing mood disorders and becoming delusional. As mentioned, sleep disturbances are common, as they are in Alzheimer’s, but in LBD they may take the form of activating vivid dreams and nightmares. As LBD progresses people with the disease will share many of the same problems that people with Alzheimer’s do. They will have progressive memory loss, and depth perception can suffer as well. They will lose the ability to make sound decisions, or lose their ability to have the proper insight into their actions. In addition, disorientation with time and space will occur, as will loss of initiative and most language abilities. I walked one day into the nursing home where Dad was living. That was probably in his fourth year or so after diagnosis, and as soon as I opened the door, I could hear screaming. I rushed in to find he had a vise-like grip on the wrist of one of the aides. There were nurses trying to pull him off, and he was struggling with them. Dad had an amazing grip almost to the end, even while his body was deteriorating. I put myself in his line of sight and started saying his name. It took him a while to focus, but he finally did. I said, “Dad, it’s ok. I’m here now and you can let go.” He slowly let go of her wrist. I immediately moved him away from the crowd to calm him down. I asked him what was wrong, and he had trouble verbalizing whatever it was. In an epiphany, I asked, “Dad what were you seeing?” He promptly replied, “She was trying to cut up that baby!” The moral of the story is that when a person is sometimes acting out, it might not be pure craziness. He hallucinated about her cutting up a baby and, of course, he intervened. He wasn’t out of his mind. It was just a reaction to what he was seeing. According to the Lewy Body Dementia Association, LBD is highly under-diagnosed, partly because it shares some characteristics with Alzheimer’s disease, which is more common, and partly due to lack of awareness of this different type of dementia. LBD can be confused with Alzheimer’s disease or Parkinson’s disease, and can actually occur in combination with Parkinson’s disease. Diagnosis can be further complicated by the fact that individuals or their family members may not be particularly eager to report specific symptoms, out of shame or fear. However, even when they do describe all of their symptoms, there is a chance medical professionals may misdiagnose the patient. The most common Lewy Bodies diagnosis involves multiple trips (six appointments on average) to at least three doctors. And even then, half of the diagnoses take more than twelve months to materialize. It is recommended to see a specialist, such as a neurologist, psychiatrist, geriatrician, or neuropsychologist to get the correct diagnosis. Do all people with DLB hallucinate? My dad has a recent DLB diagnosis but does not hallucinate. Does this mean his diagnosis is wrong? Could you address sleepiness? My husband is very tired during the day. Are there ways to combat these symptoms of the disease? My physician is not familiar with DLB, how can they get the appropriate information to make an accurate diagnosis? I have Parkinson’s disease. Am I more likely to get DLB? What is the best way to get DLB patients involved in activities to help stimulate them if they do not want to do them? What research agency do I contact if I am willing to participate in a study about early biomarkers of DLB? Unfortunately, like Alzheimer’s and most of the other dementias, there is currently no cure for LBD. The best that doctors can do, at this time, is manage the symptoms. This becomes more difficult as the disease progresses. Medicating people with LBD can be tricky as well, since there are some medications that may be helpful with other types of dementia that can actually make people with LBD worse. They may cause sedation, motor impairment or confusion. The most well-known of these drugs are benzodiazepines, which comprise a lengthy list of drugs, including allergy drugs and some anti-anxiety drugs. Other drugs include tranquilizers like diazepam and lorazepam, anticholinergics (antispasmodics) such as oxybutynin and glycopyrrolate, and levodopa for Parkinsonism. Some older antidepressants can cause negative effects for people living with LBD, as can some surgical anesthetics. Be sure to work with your loved ones’ doctors to find the right medications to help them. 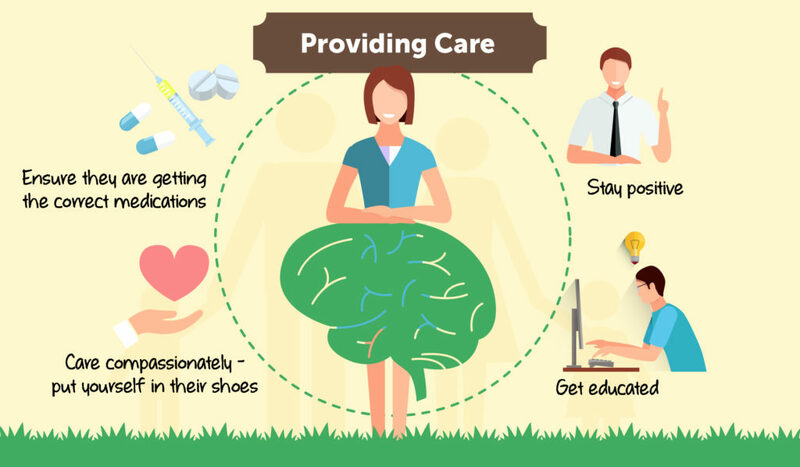 Like other types of dementia, LBD provides caregivers with challenges that most of us would never have imagined unless we’ve dealt with the disease before. People who live into the later stages of dementia eventually become unable to care for themselves. They also may experience growing feelings of fear and paranoia, which can present added challenges for caregivers. I led him to the bedroom, helped him get ready for bed, and give him his night medications. I kissed him goodnight and turned around to finish cleaning the kitchen. Learning to care compassionately for someone who lives with any type of dementia can be overwhelming. Education about the disease is critical, as is the support of friends, other family members, and all those who show up to give the primary caregivers moments of respite. Organizations such as the LBDA also provide the type of information and support that makes caring for your loved one easier. They help you learn what to expect with the disease and how to respond. One thing that people who care for loved ones with dementia have in common is the thought that if they don’t laugh, they’ll probably cry. So, many look for humor where they can find it as a coping mechanism. There is a critical distinction, however, between laughing at the person and laughing with the person. More research is needed in order to better understand the underlying cause –or causes– of Lewy Body dementia and to find a cure. There is hope that the massive ongoing research for Alzheimer’s disease and Parkinson’s will help spur progress and knowledge regarding Lewy Body dementia as well. Meanwhile, both professional and family caregivers should do their best to assist people living with LBD. Though there is currently no cure, we can always improve our understanding and quality of care to support individuals with LBD in effective and meaningful ways. National Institutes on Aging – What is Lewy Body Dementia?